Three jigsaw puzzles have been donated by a lady in Wales. They are handmade bespoke puzzles produced by Ashley and Kathleen Rowe in the 1940s in Mount Hawke where they ran the Original Jig-saw Puzzle Club which, according to the label, was established in 1908. These particular puzzles were made for a couple who used to choose a picture, send it to the Rowes and await the return of their puzzle in a cloth bag with no image to work from. They took the puzzles on long cruise holidays to while away the hours. 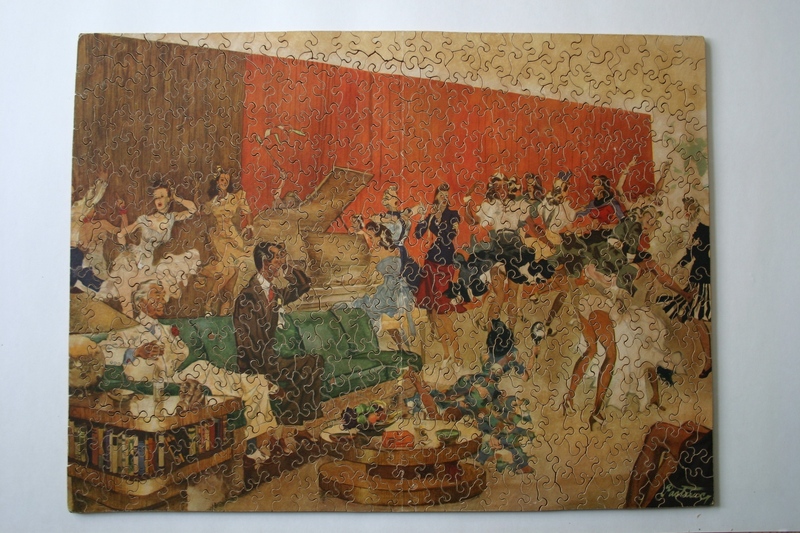 One of the jigsaws so far completed shows a lively scene of dancers doing the Jitterbug. The Museum has purchased five colour slides of the final days of the Newquay-Chacewater branchline taken from Presingoll Farm, next to St Agnes Station, in 1963. 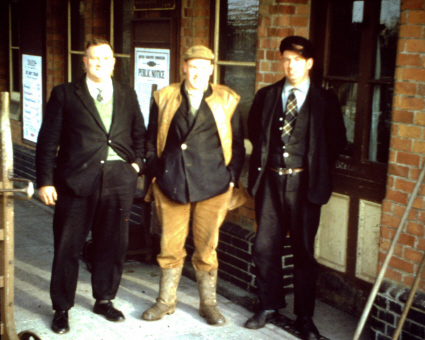 They include shots of the last diesel train to use the line, a “Special” steam train hired by the Plymouth Railway Society, a view of the railway track being dismantled, and one of some station staff. The latter also includes a young Chris Williams whose parents farmed Presingoll Farm. Next year, 2013, marks the 50th anniversary of the line’s sad closure and we hope to add these to a display to mark the occasion. 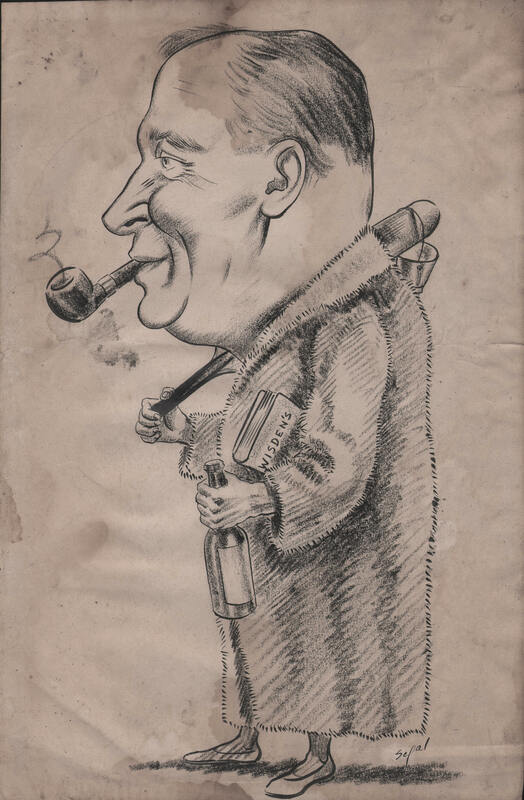 We have been given a fascinating pair of caricature drawings by the well known artist Hyman Segal (1914-2004) whose Russian Jewish parents fled to London. At the age of 12 Hyman won a scholarship to St Martin’s School of Art and went on to work for many big companies. After serving in Africa during the war he came to Cornwall, perhaps first to St Agnes, where we think he was involved with organising Art Therapy for TB patients at the nearby Sanatorium, before settling in St Ives. He enjoyed sketching local personalities in the public houses. 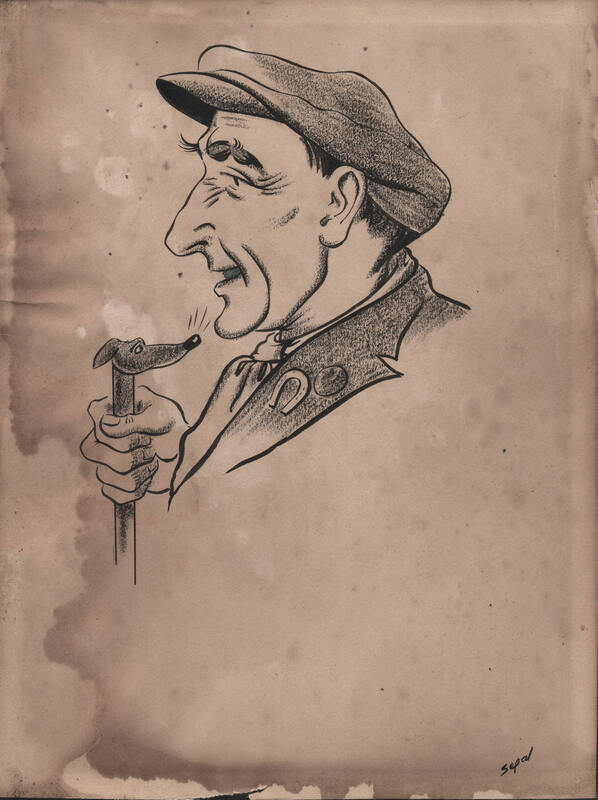 Reg Trezise of Water Lane, with his cap and dog-headed cane, was very well known in St Agnes, and we understand that he brought back a walking stick from each of his visits to Canada and left them at the St Agnes Hotel. However, there was also another sketch. This gentleman was thought to have been a regular visitor to St Agnes, possibly a schoolmaster, and undoubtedly a cricket fan, judging by the Wisden under his arm, but nobody was sure who he was. After an appeal for information, it seems that he was a George Morrison who, along with his brother Ken, holidayed in St Agnes. We believe that they both worked at a Public School, one as a Schoolmaster and the other as Bursar. George was, self evidently, quite large, while Ken was like a bean pole. They eventually retired to the Quay Flats and it is thought that they worked part-time for Jo Bates in the Ope, at Churchtown, possibly in the 1950s. It appears that their daily routine included walking up to the St Agnes Hotel every lunchtime for a half of bitter and lunch cooked by the landlady, Audrey Simmons, and calling in at the Peterville Inn, either on their way there or on their way back, to enjoy a drink with Alfie Bunt. Alfie’s daughter thinks that her father also had his caricature sketched by Segal but she does not know what happened to it. She does, however, recall that Alfie used to take the Morrisons all over Cornwall in his car since they didn’t have their own transport. If anyone can fill in any gaps in our knowledge, we would be pleased to hear from you.